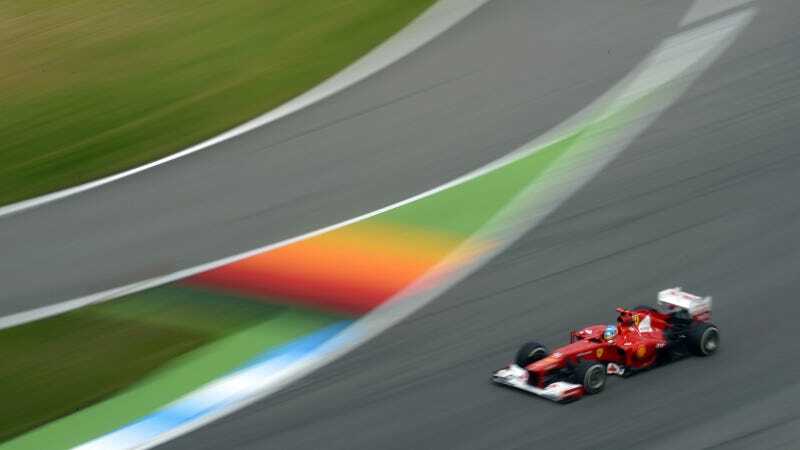 Ferrari's Fernando Alonso emerged victorious at Hockenheim last week, showing what The Telegraph called "ice cool driving from a man who with each passing race burnishes his reputation as the best in the business." But winning isn't everything. Looking good while you're winning is also important, and Alonso did exactly that in this great photo.